With Christmas just a few weeks away, you may be worried about how you will afford all the little things that help to make up a merry Christmas. 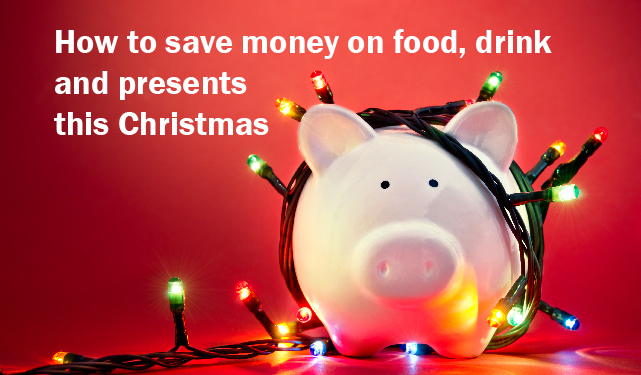 Food, drink, presents – the costs of Christmas quickly ramp up and can damage finely balanced budgets. Last year, the average Brit took out almost £400 of debt to help pay for the cost of Christmas. Most weren’t able to repay these cards until April. But with some good planning and keen bargain hunting, you can reduce the cost of this Christmas. Here are our top tips. If you are struggling financially, buying presents for friends, partners, kids and other relatives could tip you into the red. Talk to your friends and family and, if you can, agree to only spend a small amount on each other. If neither party is particularly bothered about receiving presents then you could even agree to not buy presents and agree to celebrate Christmas in other ways. Each year, we receive a few presents that, if we’re honest, we aren’t crazy about. A box of dark chocolates, a bottle of white, the list goes on. You can save on presents this year and in the future by stockpiling these presents and passing them onto somebody that you think might appreciate it more than you. Supermarkets are just beginning to roll out special Christmas discounts on booze. If you are looking for something fancy, then now is the perfect time to stock up on champagne for gifts or parties. Supermarkets also like to put heavy discounts on beers and liquor throughout the holiday season, and you can often get a better deal by buying in bulk. A good Christmas dinner is the highlight of the holidays for many people. But you should resist the temptation to buy too much food. Think how many Brussel sprouts and carrots were left over last year and adjust your portion sizes accordingly. If you are feeling extra brave, you can wait until the last minute to bag your bird. Last year, some retailers offered big discounts on unsold turkeys on Christmas Eve. If you are worried about business or personal debt, speak to one of our debt advisers today. Call: 0800 611 8888.